For the high mountains and the North, Summer is over and hiking season has come to a close. However, we are just entering my favorite time of hiking in the Bay Area where I can explore the beauty of ridge lines in greens instead of golds. Below I’ve listed my favorite multi-day trips within a couple hours of the bay. Enjoy! 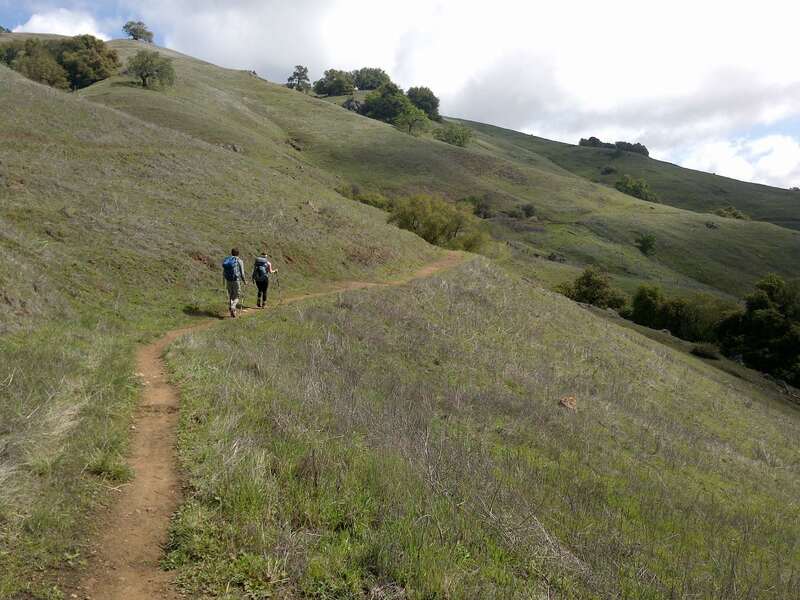 The Ohlone Wilderness Trail is an opportunity to hike through a wilderness corridor close to the bay. The strenuousness of the trail provides solitude through the rolling grasslands with some brush and forested sections. 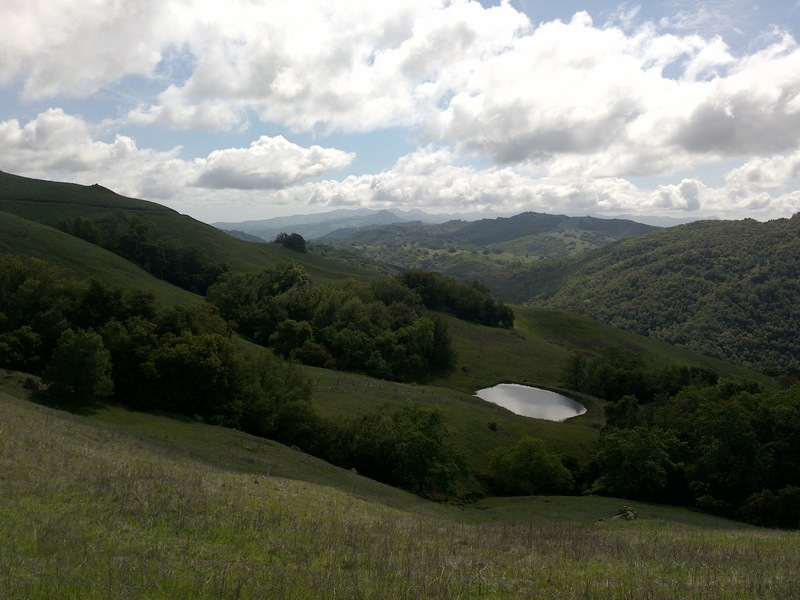 I backpacked this trail from De Valle to Mission Peak in Spring 2014 over two days. It was unforgettable to wake up above, hike into and emerge below a foggy cloud layer upon leaving Maggies Half Acre. As a plus, Rose Peak is the highest accessible summit in the Bay Area at 3,817 ft (Mt. Hamilton is the highest, but not publicly accessible). The idea of Skyline to the Sea is pure: take the first ridgeline you meet heading into the Santa Cruz Mountains and hike it all the way to the Pacific Ocean. Most of the hike is through forest with occasional rocky outcroppings and a section of redwoods. I thru hiked it on one of the hottest days in 2014, yet the shade from surrounding trees made it reasonable. Finishing the trail is definitely an accomplishment, but the trail often follows a road and it doesn’t feel much like wilderness. Henry Coe is a rare, vast piece of wilderness close to the Bay Area. It offers endless rolling hills of brush and grassland. As one of the largest state parks in California, it hosts areas of both designated and dispersed camping. Due to this size you have lots of options from a short overnighter to a week of dispersed camping visiting the rarely visited North East section of the park. When your planning your trip make sure to be conservative with your water planning. Often streams dry up in this dry, hot landscape. 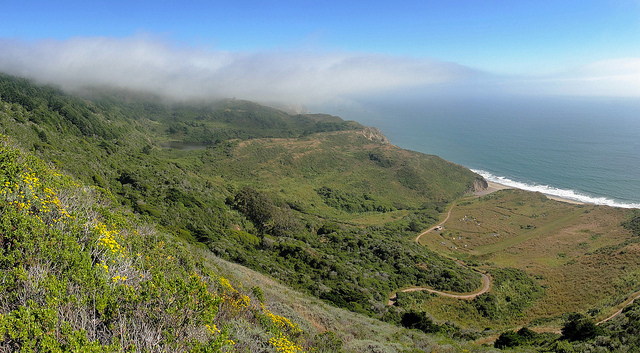 I’ve only visited Point Reyes for the nearly constant, amazing whale watching from its lighthouse. However, I’ve heard repeatedly that it has amazing backpacking. The park looks to offer forested rolling hills as well as coastal trails a stones throw from the beach. I consider it The Lost Coast‘s nearby little sister. Where else can you find multiple coastal campsites a stroll from the ocean? While your there stop by the Tule Elk Reserve on the park’s North peninsula. Did I miss something? Send me a message!